...is getting more and more popular since the last couple of years. It is a diet that is most effective for losing weight, but it is not only a new weight-loss trend. Already in the 1920’s it became known to be a successful therapy for epilepsy, proven by a scientific study of childhood epilepsy. The ketogenic diet is a very strict low-carb diet. That means basically that you eat a very low amount of carbohydrates, a moderate amount of proteins and lots of vegetables. Significant to this diet is to add a lot of fat to your diet, for example, natural butter, coconut oil, and olive oil. Most important is also to avoid carbohydrates like sugar, flour, grains, and above all to avoid processed food. This ketogenic diet is similar to the Paleo Diet and the Atkins Diet and it is not only a low-carb diet it is also a gluten-free diet. All these kind of diets are very similar to the way our ancestors back at the beginning of mankind ate as they had to hunt for a living and eat what they found in nature. Even if it’s thousands of years ago, the human body has not adapted to the cultivated and refined food. Now we go hunting in stores, but it still means we have to be careful not getting any toxic food between our teeth! In this article, you are going to learn about the ketogenic diet and how it works. When we eat more carbohydrates (sugar and starches) than the body needs, the hormone insulin promotes the sugar out of the bloodstream to the body tissues where the excess energy gets converted to fat. That’s the reason why insulin also is called the fat-storing hormone. So when eating primarily carbohydrates (bread, pasta, rice, sweets, soda...) we are in a constant fat-storing mode. we can turn our body into a fat burning mode. This may sound paradox, but please go on reading and you’ll see. Ketogenic means production of ketones. The ketogenic diet is commonly called keto diet. When you are on a keto diet the body and brain get its energy from fat instead from carbohydrates. This means when the body does not get energy from sugar, it takes the energy from the fat we eat (for example meat, fish, olive oil). The body cells can directly use the fat as an energy supplier, but for the brain, the fat first has to be converted in the liver into energy molecules - these are the so-called ketones. energy molecules made out of fat. is very low, by fasting and by starvation. mainly comes from fat, like when following a low-carb diet or the keto diet. Many people are skeptical when hearing about eating a lot of fat. For many decades it has been told that fat is not healthy but the latest scientific studies confirm that the body needs healthy and natural fats for functioning properly. It is particularly the sugar and all the products containing sugar, and the processed food containing unhealthy trans-fats that are ruining the health. Studies on feeding mice a ketogenic diet show that this kind of low-carb diet has helped to extend their lifespan. Keep on reading to learn more about the amazing benefits of this diet. The benefits of the keto diet are numerous. Below follows a list of the most remarkable benefits. You also can save time, while you eat less and fewer meals per day. The best is to clean out your kitchen pantry first, get rid of the carbohydrates and add the new basic keto food. Before running to the store, have your diet plan ready and note the groceries you need to buy. If you have any severe diseases it is recommended to make an appointment with your physician and do a medical check-up before you start with any kind of diet. You may eat whenever you feel hungry. When eating keto food, you will not feel hungry as often as you did when eating carbohydrates. That means you’ll automatically feel less hungry. Carbohydrates (sugar, bread, pasta etc.) can be stored in the body for only a few hours or at most for one day. Therefore we get hungry very soon again after eating sweets, sandwich or a plate of pasta. The body is excellent for storing fat and can use it as energy for weeks or months. This means that the body and brain won’t crave for food as often as when eating carbohydrates. You may eat as much of the keto food until you feel satisfied but avoid overeating. The most important thing is to avoid carbohydrates. 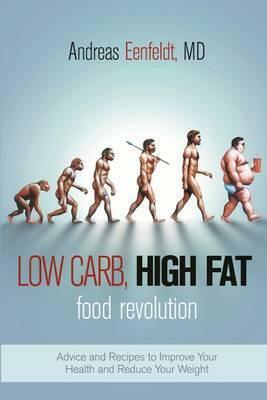 The fewer carbs, the more effective is the weight loss and reversal of diseases. To get a quicker result it is better to choose the restricted ketogenic diet, which means up to 20 grams of carbs per day. When you have reached your desired weight or the physical wellness you can very well add healthy (low-glycemic) carbs to your diet - 50 grams for a moderately low-carb diet and up to 100 grams for a liberal low-carb diet. It depends on how fast you want to see results. The fewer carbohydrates you eat, the faster you will get into ketosis, the state when the body mainly gets its fuel out of fat. Keep the carbohydrate intake limited, preferably from vegetables, nuts, and dairy. The most of your energy intake should come from natural fats, like olive oil, butter, avocado and fatty fish. Choose unprocessed meats, preferably organic and grass-fed meat. Be aware of that processed meat, like for example sausages and cold cuts, contains added carbohydrates. Eat a moderate amount of meat, because if you eat more protein than your body needs, this will turn into glucose, and slow down the fat burning process. All fish and seafood fit into the keto diet, especially fatty fish like salmon, herring, and mackerel. Perfect keto food – there are many various ways to eat them: boiled, scrambled or as omelets. Preferably choose organic eggs. Choose high-fat products: Butter, high-fat cheese, high-fat yogurts. Use heavy cream for sauces and desserts. Do not drink much milk as it contains a lot of lactose (milk sugar). Remember fat is the fuel and friend for your body. When cooking use a lot of butter or coconut fat. Add olive oil to salads. Avocados are an excellent natural fat. Choose vegetables growing above ground as they contain fewer carbs. Especially beneficial are leafy greens, such as Boston lettuce, iceberg lettuce, arugula, spinach, kale and swiss chard. Broccoli, zucchini, cauliflower, cabbage, cucumber, pepper, olives, and tomatoes are perfect vegetables for the keto diet. Vegetables growing below ground contain starches (a polysaccharide which is complex sugar). You may choose fresh or frozen vegetables, both are healthy. These foods contain a lot of protein and only a few carbohydrates. When on keto diet the pecan, macadamia and brazil nuts are the preferred choice. Among the seeds, the flax seeds, hemp seeds, and chia seeds are the ones with the lowest amount of carbs. When on a keto diet, berries are allowed but be aware of eating only a moderate amount as they contain sugar. Eating berries with whipped cream is a delicious dessert and the cream helps to keep the blood sugar better stabilized. The best thing is to avoid sweeteners, but if you like to have a dessert or sweeten your tea, then the preferred ones to choose are stevia, allulose, and erythritol. Artificial sweeteners should be avoided as they can be carcinogenic (cancer-causing). Especially avoid Aspartame as it is known that when these are metabolised dangerous neurotoxins are generated in the body. This is the first choice, this is the elixir of life. You can choose flat or sparkling water. Add ice cubes, lemon, lime and orange slices, berries, mint leaves or such like. Warm or cold water added with freshly squeezed lemon juice is delicious and cleansing for your body. Drinking coffee without sugar, of course, is OK. You can add milk or cream if you wish to, or why not try coconut or almond milk. Black, green or herbal teas – hot or iced – without added sugar, are great options. Any teas containing dried fruits contain carbs, so you may be careful not to drink fruit teas as much. These high-carbs are the most dangerous ones to our health and a no-go when following the keto diet. Avoid all kinds of sweets, chocolate, cakes, biscuits, buns, ice cream, breakfast cereals, honey, maple syrup, agave syrup and any other sugars. Almost all kinds of processed food contain some kind of high-carbs and other food additives, like flavour enhancers, preservatives, modified starch and many more. Examples of processed foods are ready-made meals, sausages, french fries, canned food, breakfast cereals, müesli, porridge, potato chips, biscuits, ice cream and quite any food you see in a grocery ready to eat. Any bread made out of grain are high-carb food which must be avoided. If you want bread you can bake it yourself out of almond flour or coconut flour. Pasta, rice, potatoes, sweet potatoes, legumes like beans and lentils, french fries, potato chips are all starchy foods and must be avoided if you want to reach ketosis (the fat burning mode). They contain a lot of fruit sugar and make your blood sugar level go up and down as well. You can eat a fruit once in a while, but make sure to eat it before or after the main meal, not as a snack in between. These are also a huge no-go. Avoid all kinds of soft drinks, fruit juice, sports drink and also water with added fruit flavours. When drinking alcohol the weight loss slows down significantly and when having health issues it is not beneficial to drink any alcohol. Champagne, red and white wine are low-carb and you can allow yourself to drink a small glass occasionally, when on a keto diet. Beer is a no-go as it contains a very high amount of carbs, which makes your body turn off the fat burning mode. The body is used to break down carbohydrates and convert them into energy. For this process, the body has got specialised enzymes doing this job. When suddenly there is a lack of glucose and instead fats to burn, means that there is a need for other kinds of enzymes to convert fat to energy. In the initial phase the body will first search for all glucose there are left. The muscles will get depleted of glycogen in the muscles and therefore, you feel tired and your mood goes down. Usually begins within the first couple of days and lasts for about one to two weeks. The symptoms are sugar cravings, headache, dizziness, irritability, poor concentration, stomach pains, muscle soreness and fatigue. You mostly do not experience all the symptoms, but only a couple of them and the length of the keto flu is different depending on for example the genetics and on how much carbohydrates you ate before. Some people experience a fruity smell that reminds of nail polish remover. This is a sign that the body has started to burn fat. The smell is temporary and when the body has got used to the ketosis, it goes away. This is a sign for lack of minerals. Drink enough water and add extra salt to your food, that can help to reduce the loss of magnesium. If it doesn’t help, then add a magnesium supplement. This is mostly due to dehydration. Increase the water intake and eat enough vegetables to add the fiber intake. A very common issue during the initial phase transitioning to keto. The heart beats faster and harder due to the reduced fluid volume in the blood. Drink plenty of water and salt, that helps in most cases. If not you may want to add a potassium supplement. At the beginning of the keto diet, you’ll feel weakened and more tired than usual. When the body has adapted to using fat as primary energy source your strength and endurance will return. During the first two weeks avoid excessive exercises. Drink enough water and mix it with salt. When the transition (initial) phase is over, the body has turned on the fat burning mode – ketosis. But how do we know when? Reduced hunger – fat makes you satiated for a longer time. Increased energy – having a more reliable energy source (fat) raises the energy level. These good signs will remain as long as you follow the keto diet. Increased thirst – because of greater loss of fluids and electrolytes during the transition time. Increased urination – because the body burns the stored glucose in the liver and muscles and breaking down glycogen releases a lot of water. Keto breath – acetone is a ketone body (a converted fat molecule), which may escape your body and make your breath smell fruity, mainly during the initial phase. These uncomfortable signs will disappear for most people after a couple of weeks or after one month. If you still have these issues after the transition phase, there are other measures that can help you, so don't worry too much about that. Just reach out to me for more tips. There are groups of people that should take some extra precautions before starting the keto diet. If you do breastfeed for the moment – you may need an increased intake of carbs, because when breastfeeding you lose sugar via the milk, otherwise you can get ketoacidosis which could be life-threatening, because of too high levels of ketones in your body. You can either continue with the keto diet or slightly adding some carbohydrates to your meals. The fat burning effect will get weaker and it may be that the weight goes up a bit. If you give up the keto way of eating and start eating like before, you’ll gain the weight you’ve just lost and your health issues will return. Having experienced all the benefits you don’t want to go back to your old habits. The very beginning may be a little tough but the benefits make it all worth it. The keto diet can help to heal your body, prevent diseases, and even extend your lifespan. There is still much, much more to tell about the keto diet, I can’t cover everything in one article. 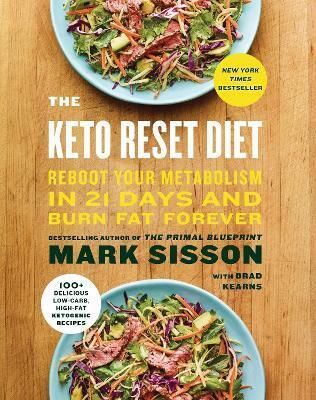 If you are serious about implementing the keto way of living I highly recommend to dive deeper into this topic. Easy Steps for Healthy Living receives a small commission if you make a purchase through a link in this post. No extra costs occur for you. Do you have any questions about the keto diet? Have you tried the keto diet and want to share your experiences? Please, leave your comment below, I'd love to hear what you have to tell. Thank you for this exciting direction you led my thought! I have heard about the ketogenic diet, but for the first time I find so easy to read, but same time exhaustive text on that matter. It is a very provocative diet, at first sight, but explained the way you did it, one can “connect the dots” and understand what sits under the hood. I was thrilled and will pay attention to the books on the topic, to go deeper into it. What is your personal feeling on the ketogenic diet, compared to other diets? What people who have gone through it, have to say about it? Great to hear your thoughts about the keto diet. To your question – I haven’t tried out the keto diet myself. I got curious about it as I heard how beneficial it is for our health. I’m doing a low carb diet for about 10 years now. It is not as strict as the keto diet, but the principles are the same. I still eat bread and my homemade jam on the weekends and I allow myself ice cream every Sunday, and sometimes I eat pasta and rice. I have compared different kinds of diets and I have found out that reducing the intake of sweets and processed food is what matters most. I find the keto diet to be a very healthy diet and for persons who have difficulties in losing weight, definitively will succeed with this method. I invite you to read my next blog, soon to come, that’ll answer your last question. Thank you for your answer! I am waiting for your next post, as your site is so exciting and informative! Agree with you about Keto diet – I will consider it, as one should know the basics. Same time – your specific approach seems beneficial, as well. Something like keto diet with personal adjustments? Maybe you should write a blog about your diet experience and results – just an idea. Always a pleasure to greet you here at my site. Thank you for your interest and your advice to write about my own diet experiences. That’s on my to-do-list! Very much looking forward to hearing from you soon again. I’ve always wondered about the Keto diet and never knew if I could benefit from it, so I was delighted to see your post, and I have a much better understanding now, that I can use this diet for weight loss. I love the fact that I can still consume oil and lose weight! Very different from other diets I have read about. I always try to reduce or avoid carbs as well, especially simple carbs, so I think I will give this a try! You’ve made it seem so simple! I’m happy you found my post interesting. The keto diet is really one of the most effective ways of losing weight. It is not the fat that makes us gain weight it is the high-glucose-carbs that are ruining our health and makes us gain weight. Another fact we may not forget is of course that if we eat too much of anything we always gain weight. The good thing about the keto diet is that we get satisfied and don’t get food or sugar cravings as easily as when eating a lot of carbs. I have been anxiously awaiting this article and with good reason. This really sounds like something I could do rather easily. I have tried the Atkins diet before so I was familiar with some of the terms and process of ketosis. I am going to review some of your book recommendations and talk with my doctor. I want to make sure it will not impact any of the medications I am on. This was very detailed and I think I really understand how it works. I have seen it mentioned before but never really understood it. I thought it was just another “Atkins plan”. Sounds different though. I like it. I think my only large issue would be my husband’s carb addictions. I will have to work my willpower around his. It sounds wonderful that you may have found a way to be relieved from your pain caused by the Lupus disease. The main difference between the Atkins diet and the Keto diet is that with the Keto diet you do not eat as much meat and you eat a lot more of vegetables. The important thing is to continue following the diet, or just slightly add some carbs, and not go back to the previous habits. If you have any questions or need some motivation, please contact me, I’d love to help. You’ll make it, you’ll succeed! Thank you for the motivation. I spoke with my doctor and she sees no issues with the Keto diet for me. So I have a green light to give it a go. Making a plan and a shopping list 🙂 Excited to give it a try! Christina, I’m so excited to hear about this. Thank you for telling me! That’s very good of you to have checked with your doctor first and how wonderful that you have got the OK. Wish you great success with your keto life. Be aware of that the first and second week may be a bit tough, but you should rather quickly a couple of kilos already in this short time, and that’s very motivating. I’m very much looking forward getting to know how it works out for you. I read your post with interest because the Ketogenic Diet is actually becoming popular in South Africa—my home country. It’s a small world, right? Anyway, news reporting originating from Johannesburg, South Africa, by NewsRx correspondents, research stated, “Many physiological health benefits observed after following a Ketogenic diet (KD) can be attributed to the associated weight loss. “ The KD has become more prominent as a popular health choice, not only in obese/ overweight individuals, but also in healthy adults. Also, according to the research done at the university of Witwatersrand, the KD does not only effect weight loss but also has positive impact on thyroid function, sleep, cognition, and cardio-metabolic health. That said, there are still some athletes and trainers who are weary of KD because they fear that the elimination of too much carbohydrates may negatively impact on their performance. On the other hand, athletes such as bodybuilders regularly need to reduce fat and/or weight before competition preferably without affecting muscle strength or muscle size. They find KD a good solution. Congratulations on a well-written and informative post. I’m delighted to know that you liked this post. How exciting to hear that the Keto Diet is popular in your home country South Africa. I believe this diet is excellent for people who need to lose weight. It is healthy as you get all necessary nutrition and you do without the unhealthy sugar-containing food. There are athletes following the Keto Diet and there are books with advice how to implement it in athletes daily life. My opinion is that if you are doing heavy exercises it could be better doing a low carb diet, where you still eat low-glycemic carbs such as wholegrain pasta and brown rice. Already looking forward to another comment of yours with excellent inputs. 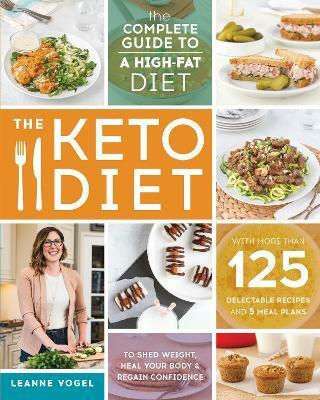 I hear about the keto diet a lot these days but didn’t know anything about it or what it was. Since I’ve read your article I know what it is and a great lot about it. I can make a better decision on whether its right for me or not. I’m very glad that you could learn something new by reading my post. The Keto Diet is a healthy diet, but it is probably not applicable to everyone. The most important is though, to avoid sweets, and processed food as much as possible. Additional to that doing 30 minutes exercise 3-4 times a week, will help you to stay fit and healthy. If you have any questions about healthy living, please, contact me any time. I’m so delighted to receive your comment. Thank you for the lovely compliment about my website. You confirm that the diet of our ancestors is very healthy still today. The ketogenic diet is very close to what our ancestors ate and this kind of diet can even help you reverse diseases. You are a proof of this and I’m sure it will help many others to get motivated to change their eating habits too. Having been living the Keto way for almost 2 years I have read many articles for Keto but I have to say yours is one of the best. I have many friends that have been wanting to try Keto after seeing my success, so I will send them your way as Keto is difficult to understand sometimes. I found this post very informative and I feel it would be much easier to understand for someone just getting started in the lifestyle. I love the way you point out the different foods that one can eat as that is always the first question I get when ask about the lifestyle. I also really enjoyed the way you explain what Keto is as many people get too technical and I ended up horribly confused about it in the beginning, however, the way you explain it here makes perfect since. How very glad I am to hear that you find my article about the keto diet informative and easy to understand. Your comment is even more rewarding as you are a keto expert living this lifestyle for almost 2 years. I really appreciate that you consider to share my post with people who might want to try the keto way of living. Wish you all the best and hope to hear from you soon again. If you have any questions related to healthy living and habit change, please contact me, I’m here for you.